How It’s New York: Ireland’s largest county has been well represented in New York of late, with the Irish Arts Center in particular flying the flag well. Earlier this year we were treated to Corkman Ray Scannell’s brilliant play Mimic, the beautiful Alphabet Series exhibition from Cork Print Makers, and the current showcase of poetry from writers on both sides of the Atlantic courtesy of Cork Literary Review. Cork is also the origin city of Paddy McCarthy, publisher of Irish Examiner USA (where Gwen writes!). 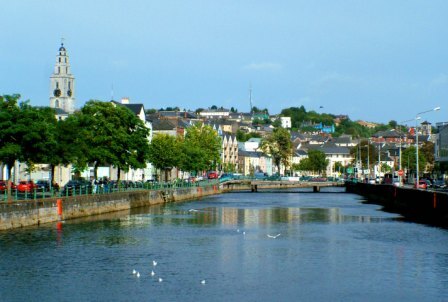 How It’s Irish: Cork is the ‘rebel county’, and considers itself the ‘real capital’ – a fact which is well evidenced by the huge success in recent years of the t-shirts and website The People’s Republic of Cork. To understand the local mindset, it is worth knowing that this is mostly tongue in cheek…but not entirely. Just don’t bring it up with a Dub. Or a Kerryman. We miss Lucy! LUCY HEALY-KELLY reports from Cork, and makes us want to fly on over. We’re getting Lucy back soon– hurray! Three cheers for Cork! As a Corkonian born and bred I obviously take pride in my hometown; even more so as a longtime audience member (and/or staff member) of several of the city’s finest arts festivals and organisations. As a currently stranded New Yorkonian, however – who now finds herself returned from Cork to New York with a few weeks to soak it all up – I felt it my duty to present an epistle as a Cork correspondent, and to round up some of the great events that have been going on of late. All this bragging aside, Ireland’s rainy, Atlantic coasted second city really does punch above its weight in terms of the quantity and quality of its arts. 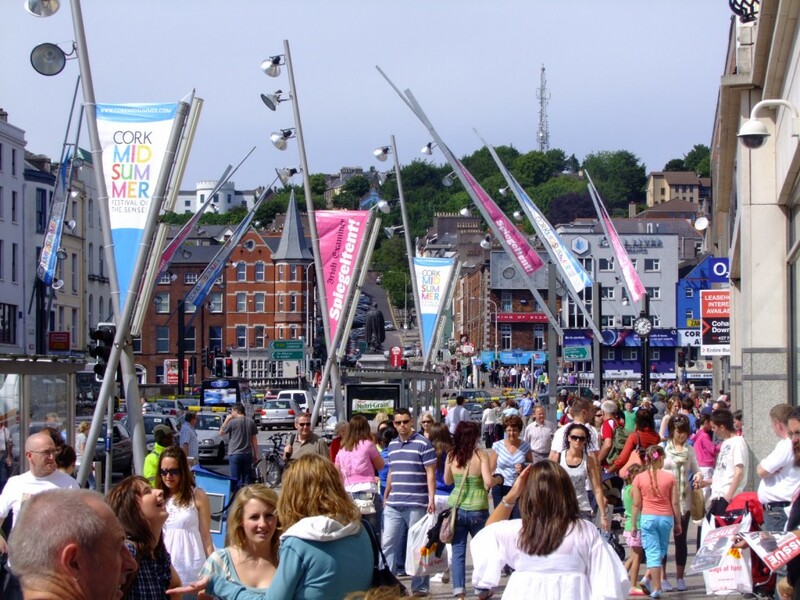 Cork city centre is cozy and compact, and lends itself well to being thoroughly taken over by the activity and atmosphere of a festival. Lots of talented people, a local appetite for the arts, and the support of the City and County Arts Offices (even in these straitened times) mean that this small city provides a rich calendar of arts goings-on throughout the year. October/ November has always been an excellent time for Culture Vultures to flap their wings down ‘Pana’ (local slang for the main thoroughfare, Patrick’s Street). 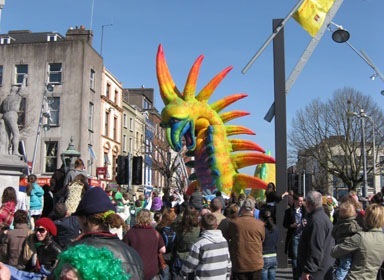 The season has for many years brought with it two of Cork’s most venerable festivals, the Jazz Festival and the Film Festival (about which more later). But one thing which is a surprise at this point in the annual calendar is a new play from Corcadorca, Cork’s nationally and internationally acclaimed theatre company, who “stage exciting shows in unusual places”. Over recent years Corcadorca have brought us such site-specific treats as The Hairy Ape in an abandoned warehouse, Woyzeck at the Haulbowline Naval Base, and a modern retelling of the Greek tragedy of Medea atop one of Ireland’s tallest buildings, Cork County Hall, usually staged during the summer months and as part of the programe of Cork Midsummer Festival. So it came as quite the change for Corcadorca’s most recent outing to be in October, a play by – shall we say, a well-known playwright? – William Shakespeare, and in the unexpectedly expected venue of Cork’s Opera House. The Winter’s Tale is a confounding play at the best of times, but Corcadorca fill it with many of their trademarks; deceptively simple set-design, a strong cast, entrancing use of sound and projected visuals, and something just a little bit haunted or unsettling to create a singularly atmospheric production. It feels curious to encounter Corcadorca’s work in the conventional setting of a theatre, but they cast their spell as effectively here as in any of their more unpredictable venues. Guinness Cork Jazz Festival is responsible for a whole verb in Cork – ‘jazzing’. Jazzing in this context generally means the following: spend much of the October bank holiday weekend hopping from bar to bar, as nigh on all of the city centre’s pubs become transformed into places to appreciated the great and the good of the jazz world, and wash it down with a pint (or eight). This generally means braving drizzle and huge throngs of cheery crowds, and having to fight your way through musicians, tourists, and the inevitable strains of Louis Prima’s Monkey Song or the like to get to the bar. Needless to say, Corkonians have a very love/ hate relationship with “jazzing”. 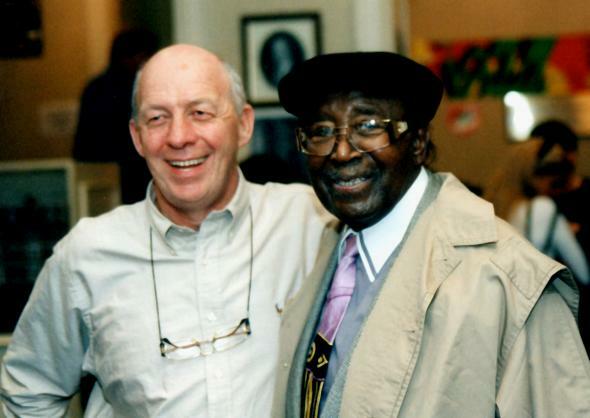 One man who truly loved every jazz festival was Bill Johnson, a long-standing member of the Cork Jazz Festival team. Bill was a character who commanded great respect and fondness from his many colleauges in the close community of the Cork arts world, and who sadly passed away earlier this year. An avid amateur photographer, an exhibition was staged in his honour at the Triskel Arts Centre during this year’s Festival of the many wonderful photos he had taken over the years, together with images of him captured with many of the Festival’s visitors. The warmth and fun of all that the Jazz Festival meant to Bill was clear to see, and it was a fitting tribute to a man whose contribution leaves a great legacy. From one festival to the next, without so much as a weekend’s break in between. No sooner are the trombones being packed away than the projectionists are setting up their film reels, for the Corona Cork Film Festival. Now in its 56th Year, the Festival has long championed the short film form and is a major showcase for Irish film production – including the very popular Made in Cork programme, which highlights local talent. A new Cork Screen Commission was launched during the Festival, aiming to develop, recognize and promote film activities in Cork City and County. The Festival’s Opening Gala was Like Crazy, a bittersweet tale of a transatlantic love affair thwarted by visa requirements (which gave this writer some pause!) Among the very strong Irish shorts strand, two films stand out: Joy (produced by Venom Films, the team behind last year’s marvelous His & Hers) and Festival Award Winner Even Gods, both moving and subtle pieces. So if New York’s Irish arts offerings ever seem a bit thin on the ground (unlikely as it seems! ), keep an eye on what Cork is up to these days. Some of the best of the city’s arts offerings make it across the Atlantic sooner or later, and if all else fails you can always throw caution to the wind and book a flight! For more on Cork’s annual smorgasbord of arts events and festivals, see www.festivalscork.com, www.corkcity.ie or www.cometocork.ie .